While the previous well, Ffynnon Sanctaidd at Pistyll was lacking in stories and history, Ffynnon Digwg makes up for this and has them in abundance. Ffynnon Digwg lies in the hills at Penarth, close to Aberdesach which in turn is near Clynnog. We find Ffynnon Digwg beside a footpath leading up the hill from Penarth, at the grid coordinates given in the Historic Environment Record (HER). The Royal Commission inspector, who visited in 1960 described it as a muddy hollow, though on the day we visited a sizeable pool was there. 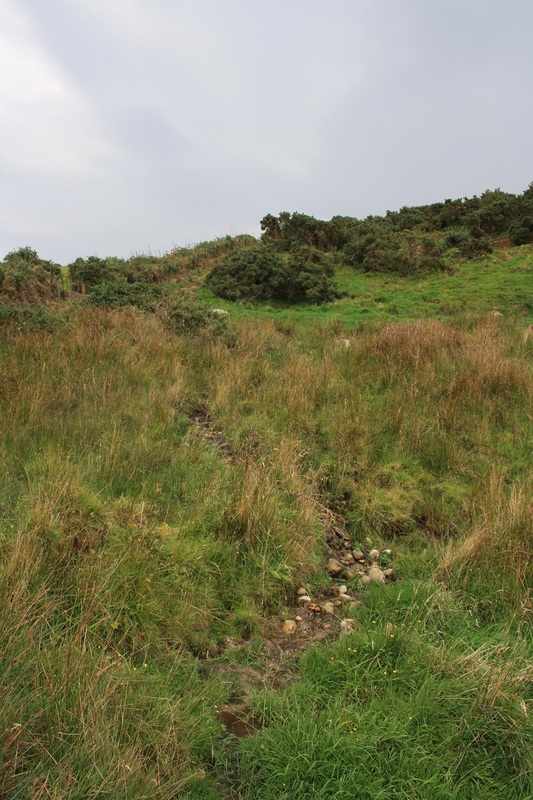 This appears to be fed by a small overgrown spring to the east and a further two springs, one trickling from an old pipe, that flow a short distance down the hillside from the south. 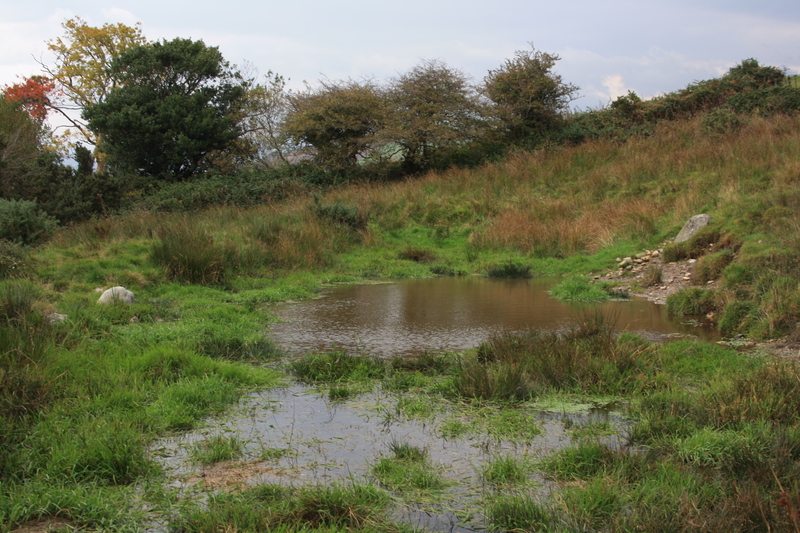 The pool then drains, forming a stream flowing beside a small copse north of the pool. In passing we have to note that one recent book makes reference to different spring, now enclosed in brick, closer to pennarth. No source for this attribution is given so we have stuck with the HER version. The story of its origin has been linked with another case of St Beuno’s miraculous cures. Tegiwg is supposed to be a daughter of Ynyr, King of Gwent and living at Caerwent A young carpenter from Aberffraw on Anglesey comes south to work and charms her, telling stories of his riches back home. For some reason all are taken in, and the couple marry with the blessing of Ynyr , and set off on the road back to Aberffraw. As the journey continues the carpenter starts to worry more and more about Tegiwg’s reaction when she discovers his deceptions, that his rich home back in Aberffraw is nothing more than a poor hut. By the time they reach the north coast of Gwynedd he realises that there is nothing he can do to avoid his shame, and as she sleeps he draws out his sword and cuts off her head. Local shepherds, however , were close by and seeing what had occurred rushed to Clynnog to inform the Saint.. Beuno arrived on the scene in time to restore the unfortunate Tegiwg to life.by this time the errant carpenter had fled taking with him horses and the treasures Tegiwg had brought from her father. Some time later, when one of Tegiwg’s brothers , Iddon rode north to find her, she chose to stay with Beuno, devoting her life to the church rather than to return to her home to the south. Iddon and Beuno travelled north to Aberffraw to retrieve her horses and treasures. On discovering the carpenter Iddon drew his sword and slew him. Iddon was arrested and not released until Beuno restored life to the man. Beuno was rewarded with land at Aberffraw of which he is patron saint, and Iddon was free to return to Gwent. Clearly the story of Tegiwg has strong echoes of that of Beuno and Gwenffrewi, and it is suggested that the later scenes of Beuno’s intervention were grafted onto an earlier history to enhance his credentials. At the scene of the occurrence, where her body fell , burst forth the spring that carries a version of her name, Ffynnon Digwg. Tegiwg herself is listed by Baring Gould and Fisher as a saint, although there are no known church dedications ascribed to her, and no festival celebrated. A number of additional legends attach to the pool. An ancient hawthorn tree once grew beside the spring, and it was told that were it ever to be cut down then terrible storms of thunder and lightening would ensue. There are also various accounts of strange items to be seen below the water, described as things resembling oranges or strange hedgehogs without their spikes. It has been suggested that these are possibly balls of algae stained with iron, a colouring which might also explain the story that Tegiwg’s blood could sometimes be seen in the water. Another story tells of a rich treasure hidden within the spring. This could only be found by a red haired shepherdess if she were to drink from the spring on three consecutive days in spring. 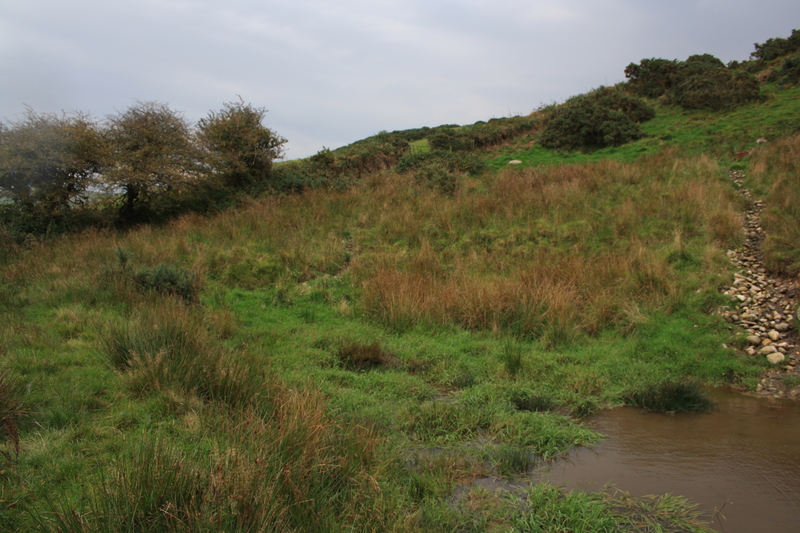 Fardd (cited in Jones, Holy Wells of Wales) notes that the well was also called Ffynnon Gwttig or Gyttig and that pins and eggs were offered there and that it had a reputation for the cure of warts. 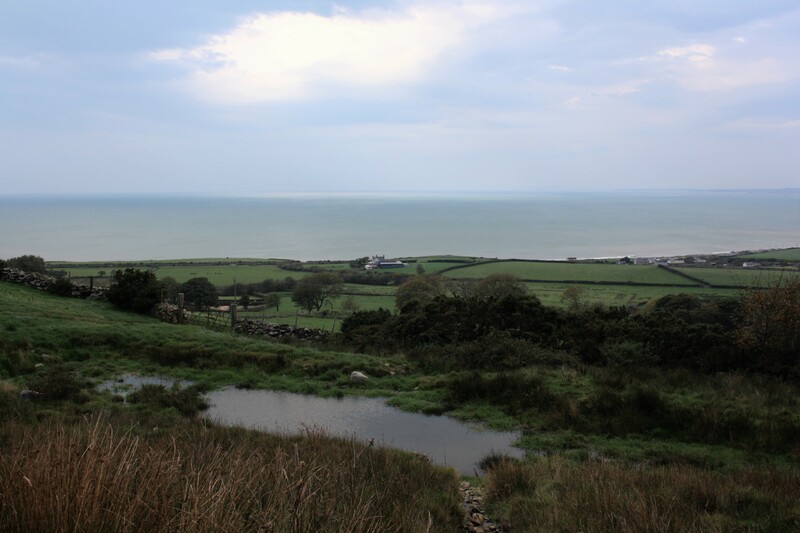 So, setting out up the hillside from Penarth, expecting to find a muddy hollow, we find a view and a small pool filled to the brim with fascinating stories. Jones F (1954) Holy Wells of Wales, Cardiff Uni. Press.